Tides. The Maritimes. 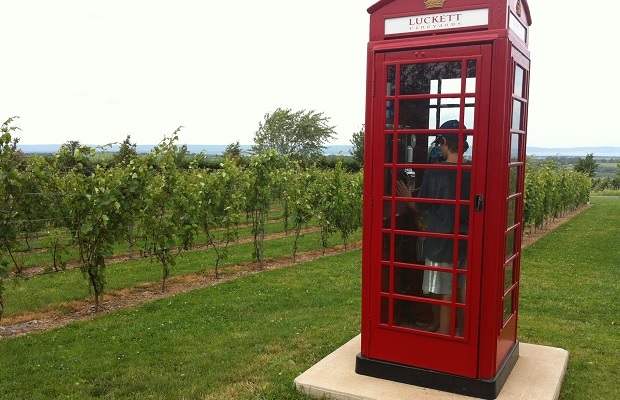 The new viticulture. 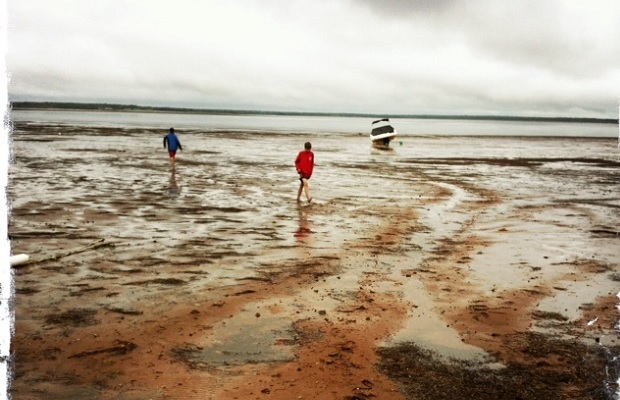 Headed out for the East Coast, pulled by a great maritime tide, family in tow. 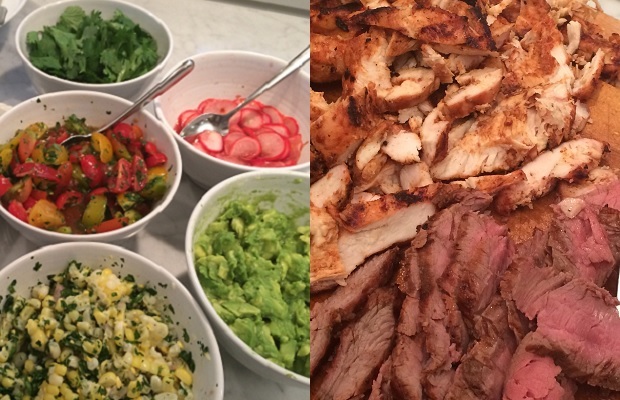 To a cape and back. Ontario-New York-Massachusetts-New Hampshire-Maine-New Brunswick-Nova Scotia-New Brunswick-Quebec-Ontario. The voyage imagined as a whole is revealed as an ebb that rides a crest outward bound for the tip of Cape Breton Island. A drive to reaches with no ability to seek accessory in further extensions. The inward sail as a retreat back to the Big Smoke, requiring returns equal and proportionate to the outward gains. Each day the tides carried us to promulgate layovers, to begin flowing again each seriate day, at the hour of its reversal. Some tides 101. Tides are the periodic rise and falling of large bodies of water. They are created because like magnets, the Earth and the moon are attracted to each other. The gravitational force of the moon is one ten-millionth that of earth, but when you combine other forces such as the earth’s centrifugal force created by its spin, you get tides. The sun is important as well, but in minutia as compared to the moon. Water is what the Earth holds on to and every day (well, actually in a span of 12 hours and 25 minutes), there is a period between two high tides. Spring tides occur during the full moon and the new moon. Neap tides occur during quarter moons. 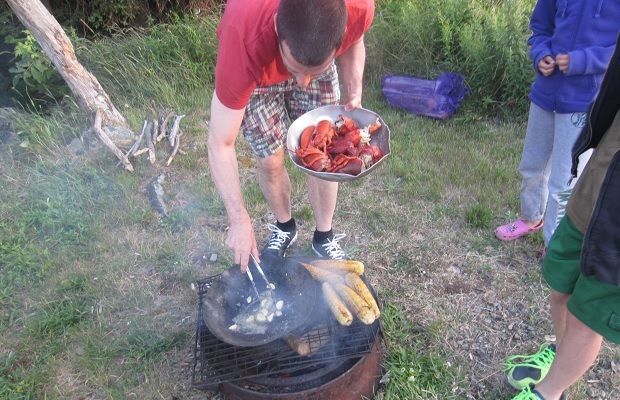 Of all the impressive vistas, formidable rock faces and seemingly endless, edge of the world bodies of water to perpend, way out and beyond on the east coast of Canada, none feast more blatant than the Bay of Fundy. 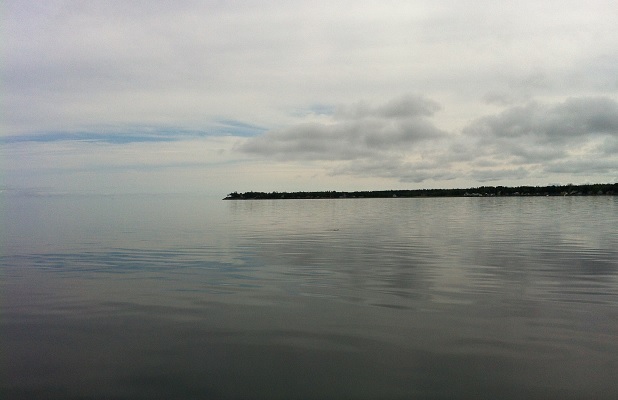 Each day 160 billion tonnes of seawater flows in and out of the Bay that intersects Maine, Nova Scotia and New Brunswick. Nowhere else in the world resembles the scabrous shorelines, islands and waters of this wondrous place. In a quirk of geographical fate, the amount of time it takes an incoming wave to get to the end of the Bay of Fundy and return to the ocean coincides with the time between high and low tides – 12.4 hours. “Like a father pushing his daughter on a swing, the gentle Atlantic tidal pulse pushes the waters of the Bay of Fundy-Gulf of Maine basin at nearly the optimum frequency to cause a large to-and-fro oscillation.” The galance is simply awesome. 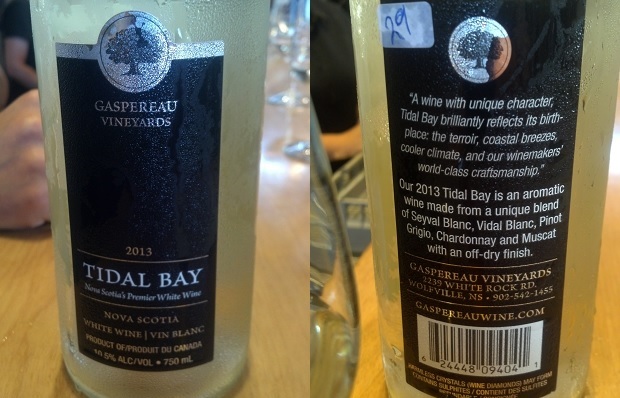 Tidal Bay is the first wine appellation for Nova Scotia and is crafted from carefully selected varieties, produced exclusively by (now) 12 wineries. 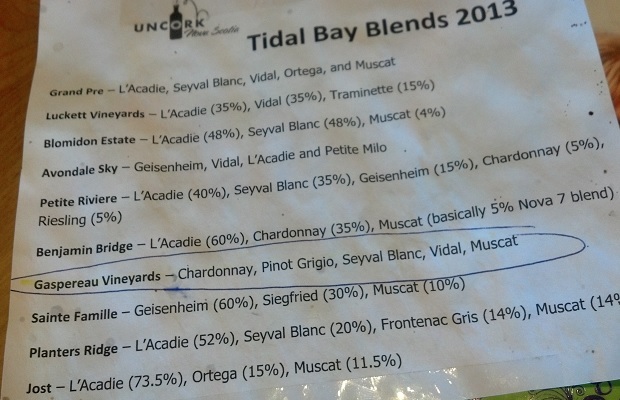 To be labeled Tidal Bay, maximum brix levels and minimum acidity (9 g/L) must be reached. 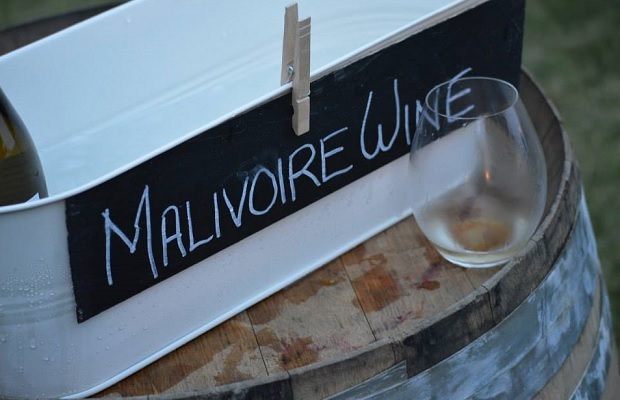 Pressing takes place by bladder or basket, all in the name of a “regionally recognizable local style.” The 100 per cent Nova Scotian blends “pair well with seafood and ocean views.” Though essential to the maritime wine oeuvre, the Tidal Bay wave remains young and the wines a work in progress. I will connect with the full range in a year or two, perhaps on it 15th birthday, in 2017. 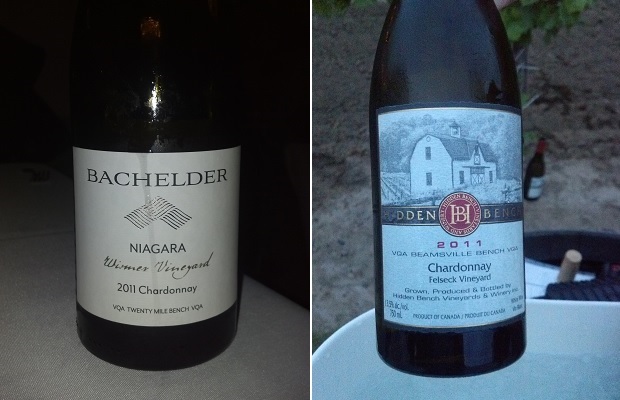 Here are three tasted in July. 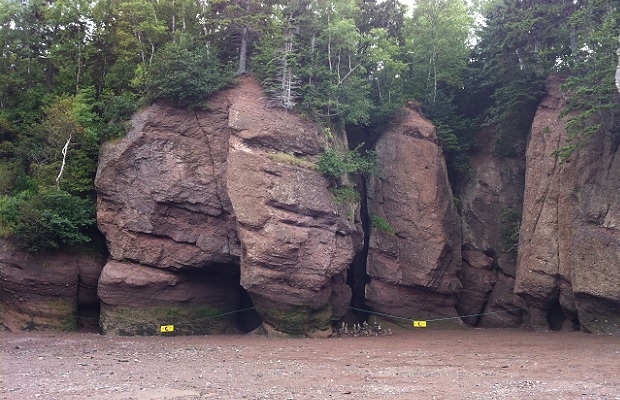 Tidal bores, red mudflats, flowerpot rocks, sea caves, the largest whirlpool in the Western Hemisphere, all impossible irregularities that belong to the Bay of Fundy. So what? 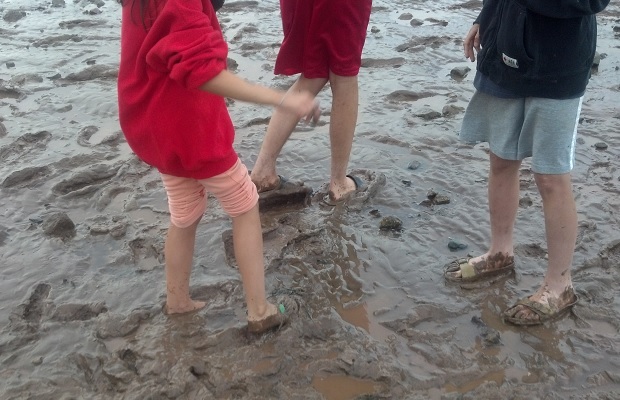 The muddy beaches and chocolate rivers might be characterized by the Acadian expression, “Quelle baraque!” or, they might induce chills, “gorziller,” hallucinations even. When a moment is taken, they become unique, quirky barometers to re-calibrate the mire of mundane repetitious behaviour and one’s dizzying and insignificant place in this great big world. 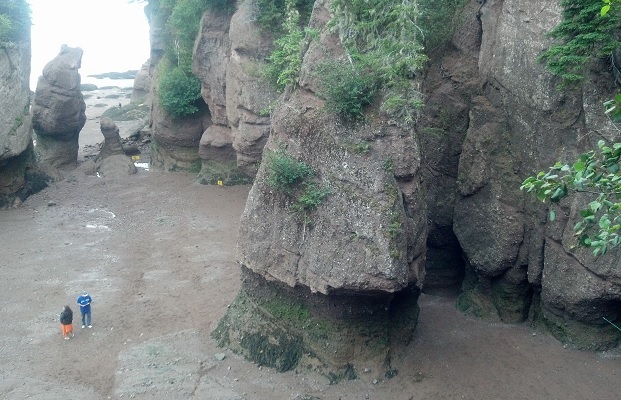 The fascinating geology of the natural rock formations at the Hopewell Rocks, on the Bay of Fundy, is a history worth learning. shouting to the wind, singing to the sea. Shake’s head. Emerges from the dream. Begins to put the pieces together. Memories of a long trip. An east coast swing. 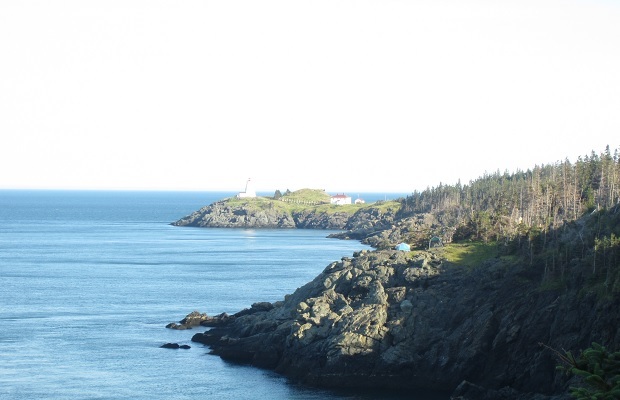 From Black’s Harbour to Grand Manan Island, through St. John’s and up to Big Cove by Baie Verte. A Northumberland Straight traverse past Port Howe, Am Baile Mór, Inverness, a jog up to Cheticamp and Corneybrook. 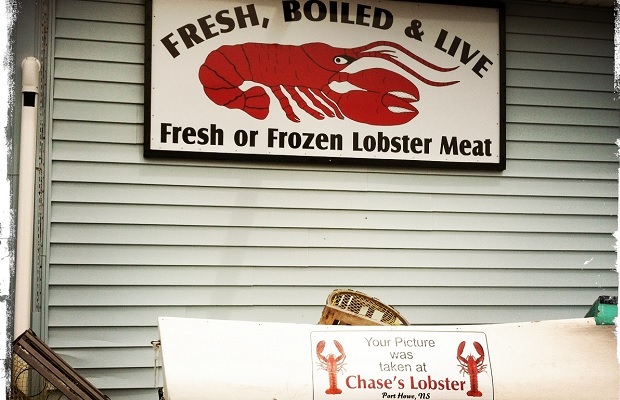 Around the Cabot Trail of Cape Breton Island, a sidetrack to Bay St. Lawrence and Meat Cove, then a decussate and a zig-zag of the fiords to mark an “X” in Sydney. 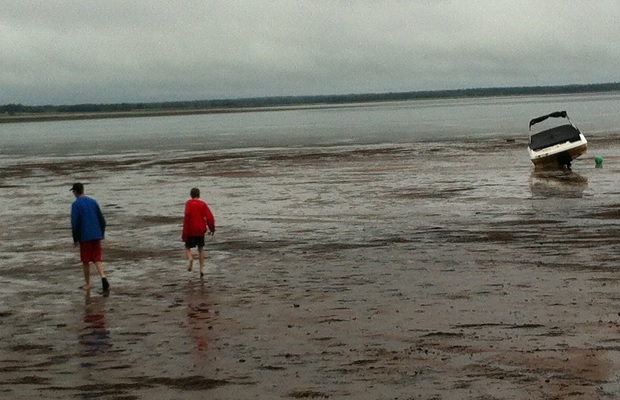 Up the heart of the province, past Truro, down the Annapolis Valley and a u-turn back up and into Wolfville. It is there, in the heart of the Gaspereau Valley, that the essence of Nova Scotia’s wine industry walks out from beneath the fog to reveal itself in an elongated moment of clarity. The tractive is a thing to and of itself. 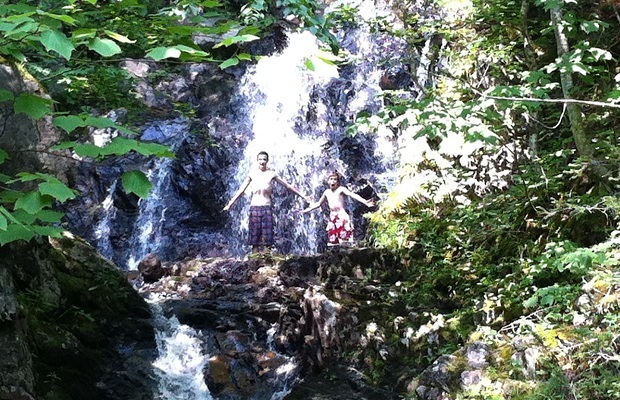 The pauses to gather at points along the process remember lobsters roasting over an open fire, a cottage visit with new-found friends, a hike into the cavern of a waterfall and a swim in a tidal river. Memories are made in rites of passage, though in the end, like the photographs, they too will be demurred by time. Indelible stamps they are, cemented in commitment to reaching and by necessity, descending summits. 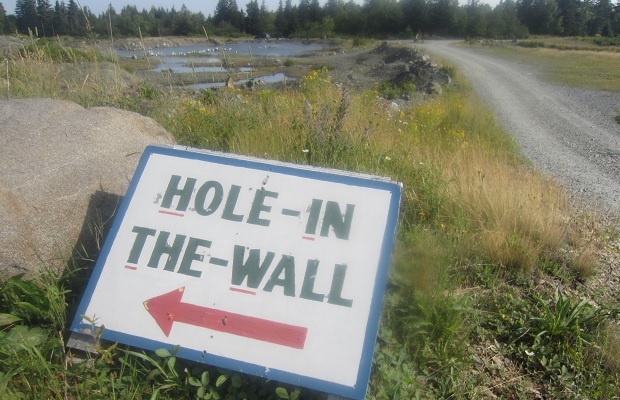 A road trip to the eastern part of Canada realizes the bigger plan. The key is making it safely home, before the tide rolls in. 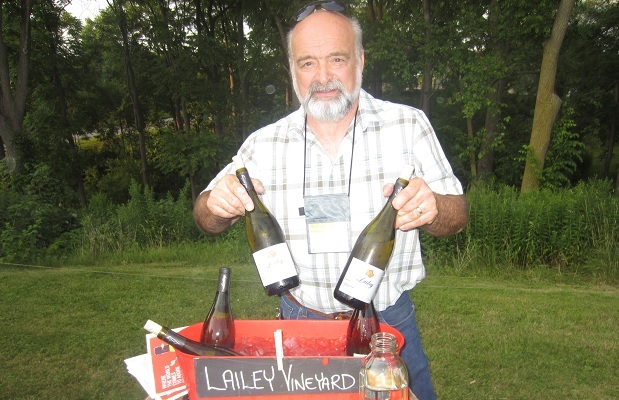 Next up will be the wines of the Gaspereau Valley, inextricably linked by a prodigal son come home in the name of Peter Gamble. 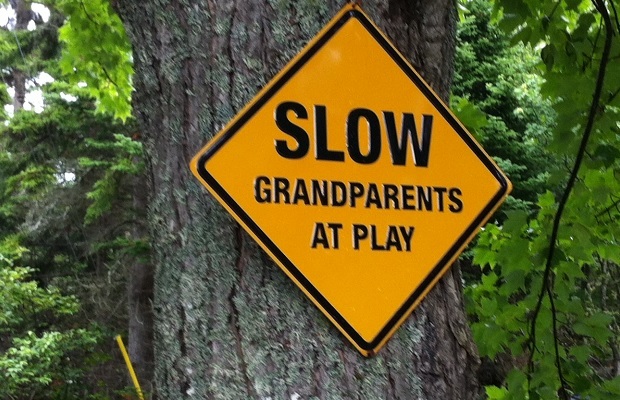 Until then, take it slow and easy, on the East Coast. Good things come in threes and once in a calendar blue moon the LCBO’s VINTAGES wine release cycle rolls out that magic number. 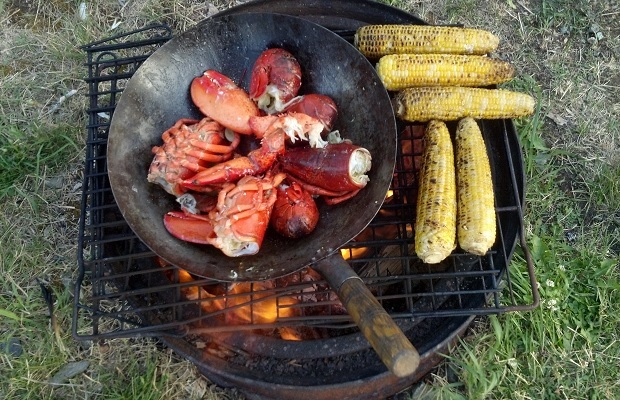 There can be no better month than August for the cosmic confluence to occur, particularly when the 31-day stretch hovers and encompasses two Canadian long weekends. The fundamental postulate of accepting abetment to be ushered down a path of vinous enlightenment and the subsequent pleasure derived from having matched recommended bottles to the meals of summer is a priceless thing indeed. Make the connection enough times and behold the sense of empowerment. The beneficiary then becomes the facilitator. A torch is passed and the gift pays forward. 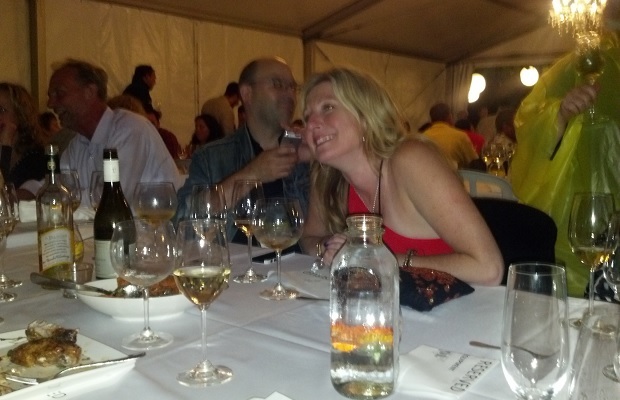 Say what you will but no other wine program offers this type of retail-critic-consumer relationship. This is the beauty of the VINTAGES program. Bordeaux futures don’t count. That’s a racket. The three August releases of the 2nd, 16th and 30th, though encumbered by a sea of suffusion, are also filled with excellence. 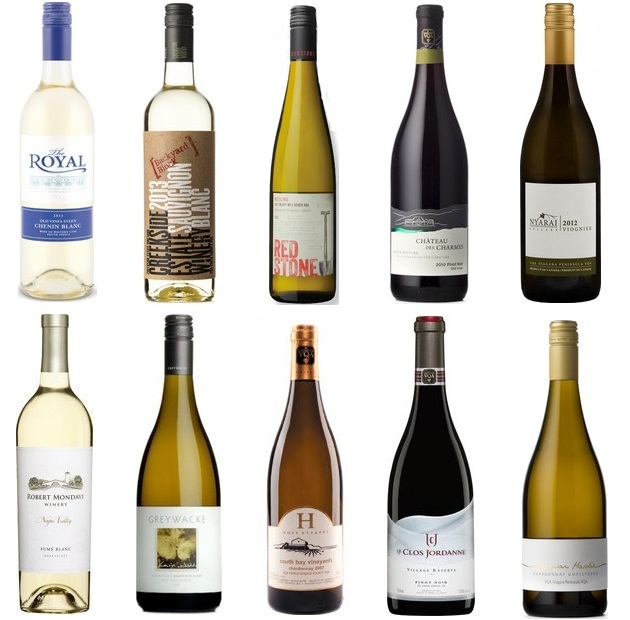 Here are nine wines to consider for the final (gasp) summer long weekend of 2014. 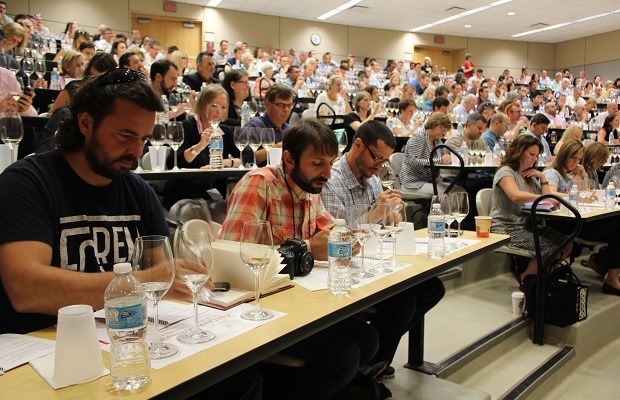 I arrived at Brock University for the Cool Chardonnay conference on Friday and we began tasting the first of 117 sometime around 11:00 am. 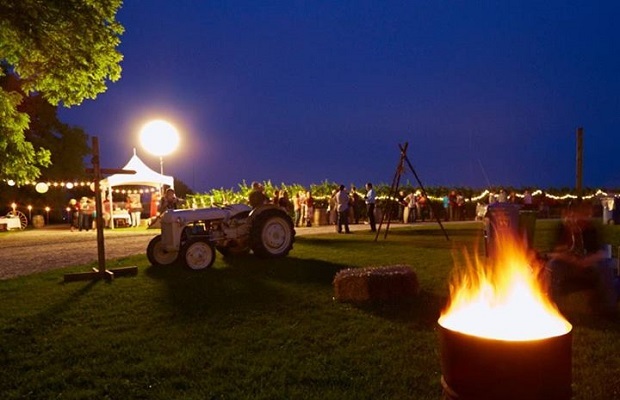 On Friday night we convened under the stars st 13th Street Winery for the Barrels and Bonfires event. 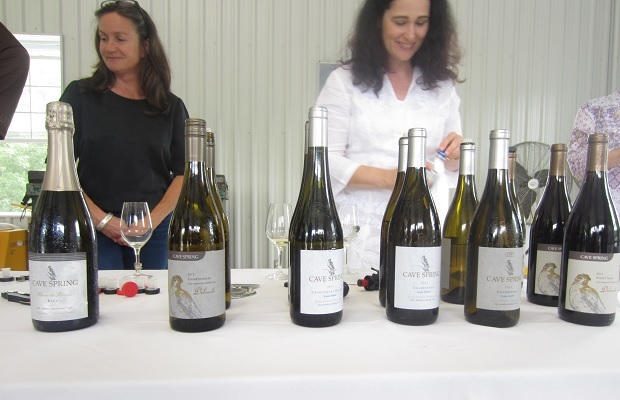 On Saturday I taxied up the Cave Spring Road runway for an afternoon in the Cave Spring vineyard with the Pennachettis and on Saturday bussed over to Vineland Research and Innovation Centre for the grand Cool Chardonnay dinner. 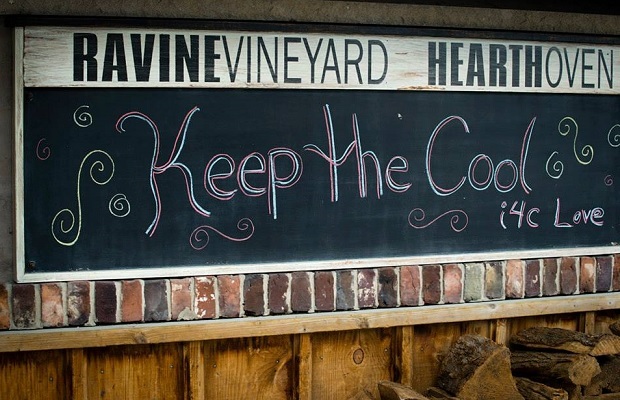 On Sunday we wrapped up at Ravine Vineyard. 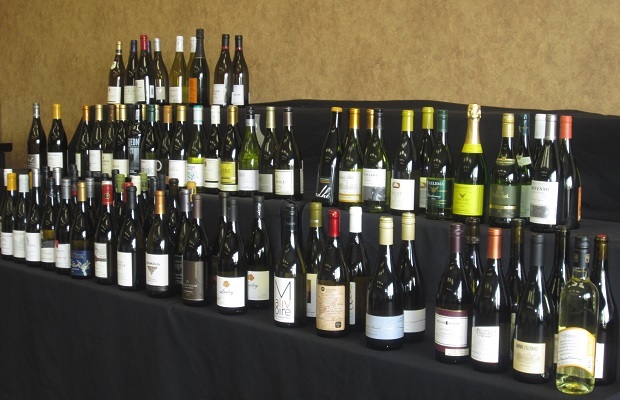 In between events, we tasted Chardonnay in the Media Room at White Oaks Resort and Spa. 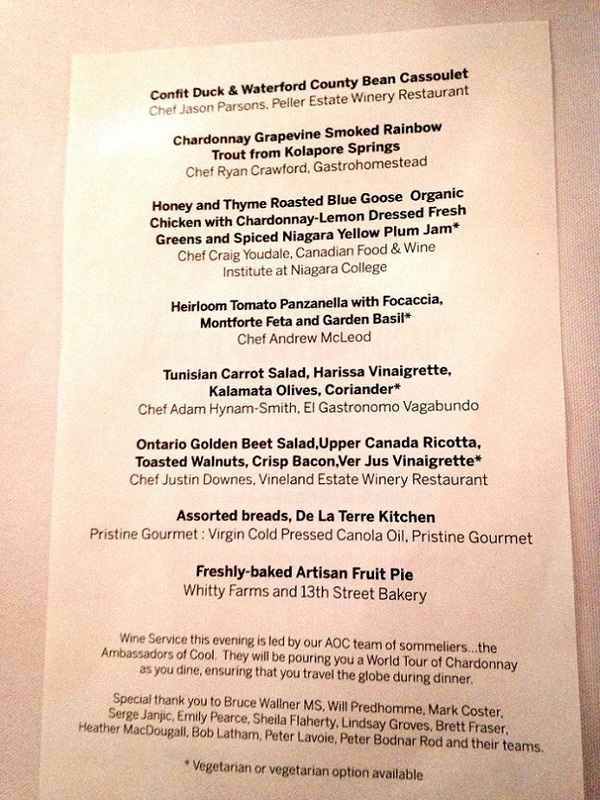 All of this not would not have been possible without the efforts of Wine Country Ontario. I posted 20 or so tasting notes in Monday’s column, scribbles apropos to the events associated with the presented wines. 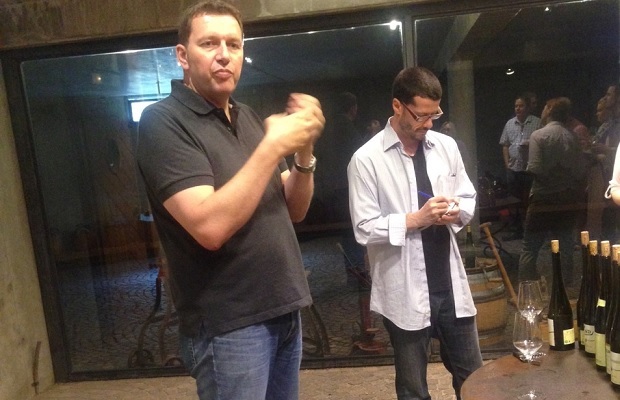 Here are 50 more tasting notes in 5,000 Godello words, add or subtract a few hundred. If you follow doctor’s orders and take one Chardonnay every hour for 50 hours, this is the result. Were Olivier Humbrecht, MW a Rock ‘N Roll star, he would be the guy, the man, the boss, the one everyone wants to hang around. He’d be invited to every benefit concert, like No Nukes at MSG, Live Aid, Live 8 and a Tribute to Heroes. He would sing the biggest parts on the raise awareness and relief funds records like We are the World. He would headline every star-studded gathering to celebrate an influential musician’s career, like that of George Harrison, Roy Orbison, Chuck Berry and Bob Dylan. Olivier Humbrecht is a winemaker. He’s also smart, France’s first Master of Wine, rooted in his region’s history and hyper aware of every nuance in each terroir. 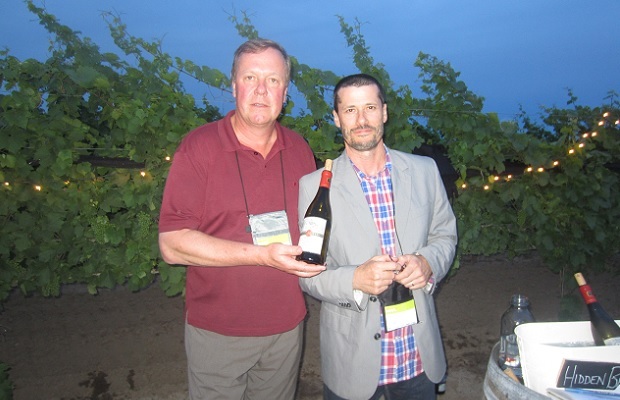 He’s an extreme scientist, biologist, geologist, viniculturalist and viticulturalist. Olivier Humbrecht is a student of many Alsace genres, techniques and methods. He’s a bit of a perfectionist. So are many Alsatian winemakers. But Olivier also has the charisma, the persona and the drive to strive for bigger and better. People want to be near that. 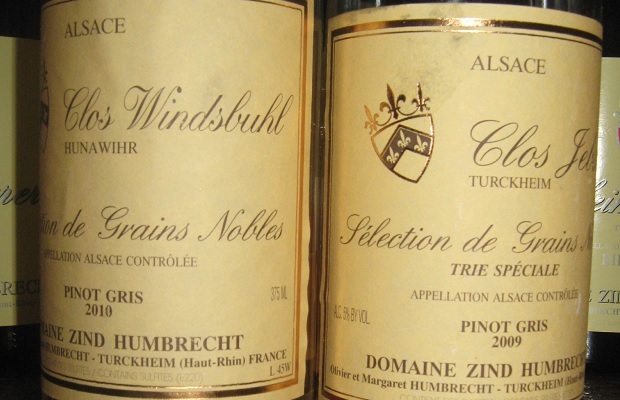 Domaine Zind-Humbrecht is well-known to the world, considered the consummate professional vigneron d’Alsace. The wines are immaculate to a fault; pure, precise considerations out of a multitude of variegated and diverse terroirs; of those around the winery’s home in Turckheim, Wintzinheim, in Gueberschwihr, Thann and in Hunawihr. 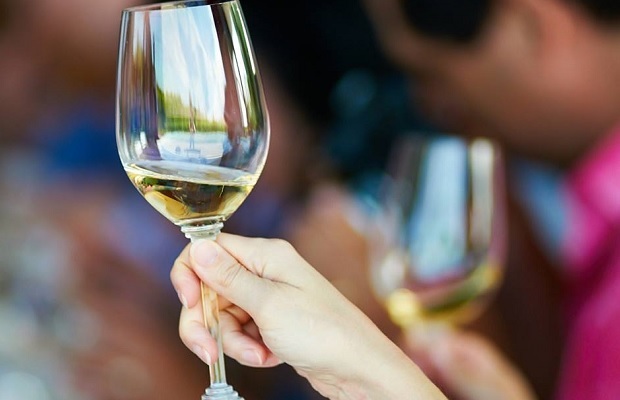 The Grand Cru holdings of Brand, Hengst, Goldert and Rangen de Thann provide the stuffing for exceptional produce but can any other winery in Alsace lay claim to so many exceptional wines from their lieu-dit and single-vineyards not classified Grand Cru? The trifecta phenomena of the Zind-Humbrecht hill parcels, “Les Clos”; Häuserer, Windsbuhl and Jebsal may as well be Grand Cru squared. The wines from these most worthy soils are dreamy and in top vintages, impossibly perfect. Most vintners in Alsace are connected to a village, have vineyard holdings surrounding or on slopes leaning upwards from the town. Many crush and ferment in caves beneath their homes right there in the ancestral village. Above ground Zind-Humbrecht is more modern than most, in many ways the embodiment of the 21st century Alsatian facility but Olivier’s wines are deeply connected to Turckheim, the village closest to a large proportion of his vines. 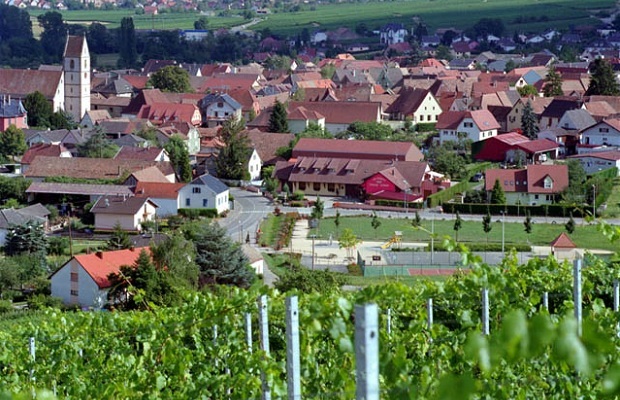 The region’s regulatory board decision to eliminate a village like Gueberschwihr from being used on a Riesling label is both curious and counter-productive. Olivier is an island here, not having found any other producer’s support to keep such a designation alive. The irony is not lost. A winemaker incredibly passionate about soil having to label his wine by that very concept and against his will. 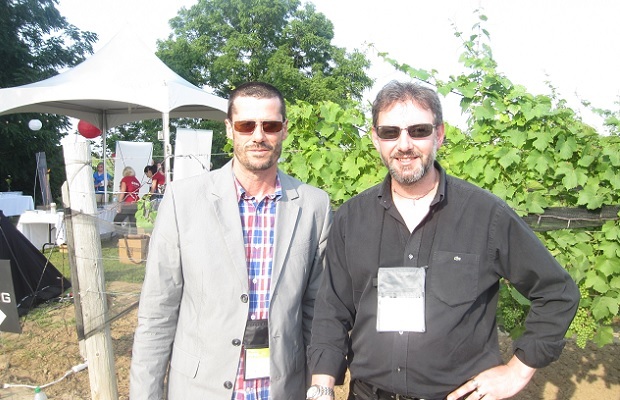 I had the opportunity to taste with Olivier Humbrecht on two occasions, thanks to CIVA and SOPEXA, at the winery and at the Millésimes Alsace trade event on Monday, June 16th, 2014. Humbrecht’s brain is in constant churning motion. He will never rest and settle for the status quo. He has learned everything and has everything yet to learn. The phenol-tannin-sugar-acidity sequence only succeeds when PH is in the mix. “PH is more important than acidity. Low PH is a guarantee for good evolution in bottle, and good phenols.” That said, skin contact is to be avoided in Humbrecht’s world. 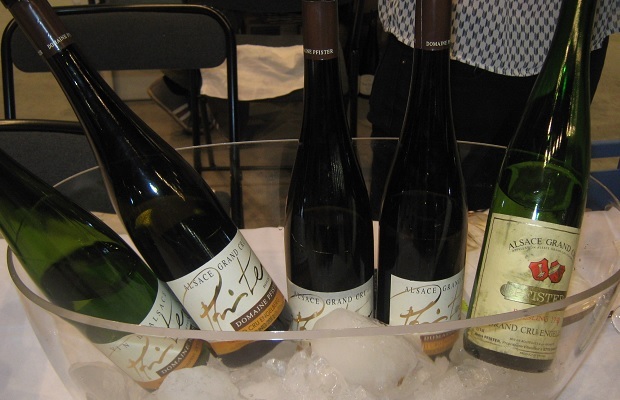 “Alsace already has high aromatics so contact is contradictory.” It can lead to the inclusion of green phenols which would be detrimental to making sound wine. Ripe phenols come from the vines and Olivier continues to refer to structure and acidity as a direct consequence of what happens in the vineyard. The ZH processes include high density planting, hand harvesting, gravity feeding, cold cluster pressing and the use of wild (indigenous) yeasts. 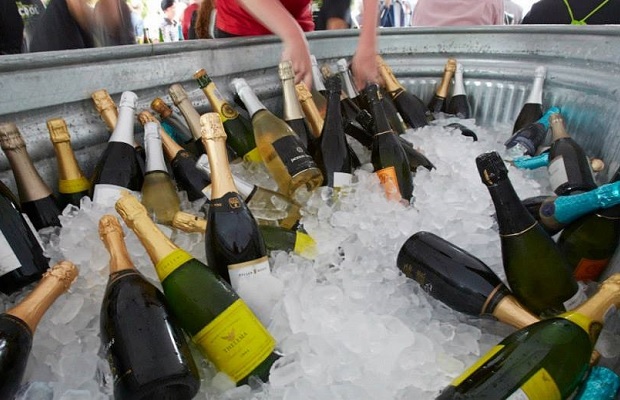 The total annual output is approximately 300,000 bottles from 40 hectares, a capacity reached in the mid 1990’s. “We are not interested in getting any bigger,” concedes Humbrecht. The last piece and going forward of the Zind-Humbrecht puzzle concerns vintages. 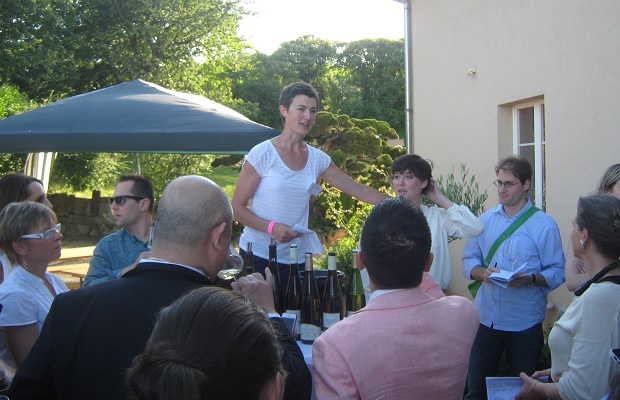 “Vintages are very important and different in Alsace,” says Olivier. “2014 is very precocious.” Flowering was done the first week of June, almost two weeks ahead of the norm. This is similar to 2003 and 2011. “We made a lot of mistakes then, because it was the first time we had this.” The plan is to adapt to the climate by cooling down the soil, with more grasses to retain moisture. They will also let more branches grow to restrict sun and more canopy management. Biodynamic farming at work. 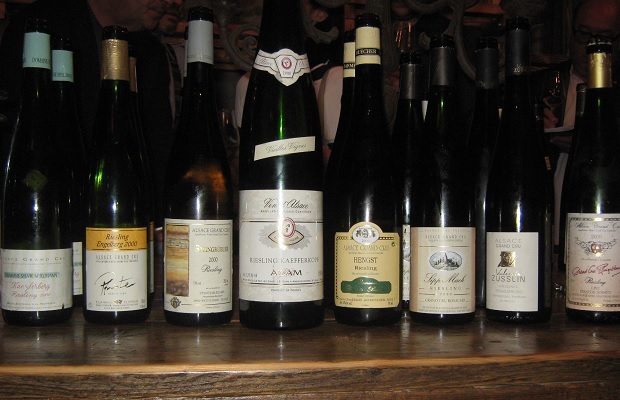 Here are notes on the 20 Zind-Humbrecht wines tasted in Alsace on Monday June 16th and Wednesday June 18th, 2014. 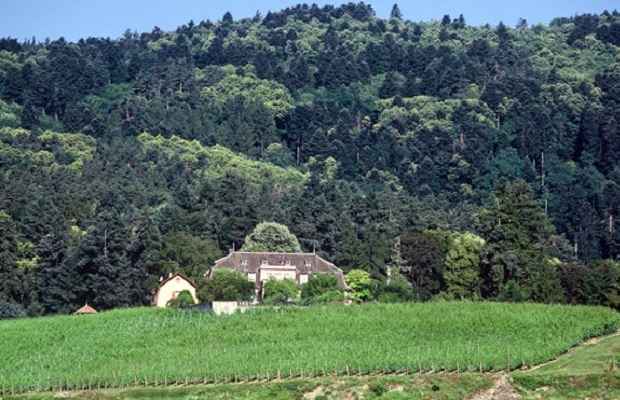 To Olivier Humbrecht, the location and managing the ripeness of Pinot Noir is key. “You can’t hide green character in Pinot Noir,” he asserts. Fruit comes from the Heimbourg vineyard, from west-facing slopes out of marl and limestone. This is a cooler, later ripening position with a draught between the hills. At 13 per cent alcohol it is pleasantly ripe but not as rich and intense as 2009. Still ripe enough for positive and effective phenols. Tannins are present and accounted for, wrapping a veil over the chalky, chewy, slighted coated fruit. 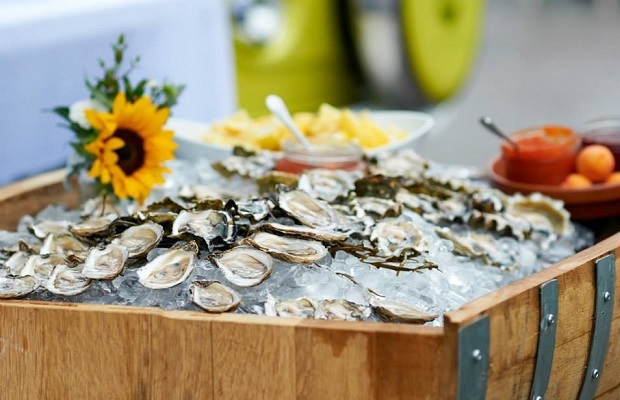 The mineral is felt in texture coming from what is a simple, proper and elegant palate. 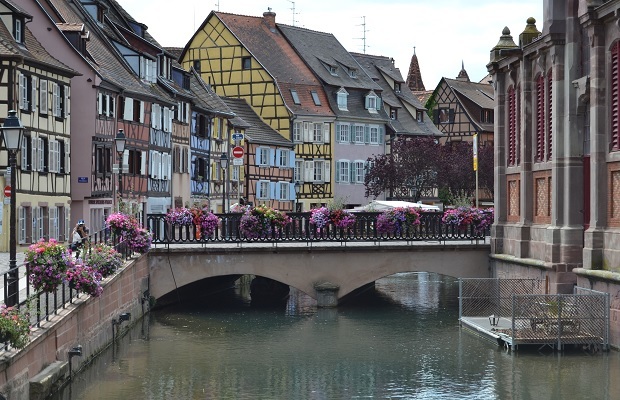 Like any self-respecting winemaker in Alsace, Olivier Humbrecht is intent on keeping Muscat d’Alsace alive with hopes that someday it will once again thrive. The white and red coloured, longer ripening, small berry Muscat Petite Grains receives minor (one or two per cent) support from grapey, soft and aromatic Muscat Ottonel. Raised from olitic limestone and marl soil, this Muscat is blessed with terroir inducing greater acidity and a dichotomous, silty ripeness, like a green, unripe Sauvignon Blanc. One has the sense that in this unique vintage the noble variety may age with an almost unexpected stride through the years. This is the most basic and tenable wine in the Zind-Humbrecht portfolio. For the uninitiated it is an ideal embarkation point from which to engage the dry elegance and saline minerality of Alsatian Riesling. This “entry-level” effort is from 11 year-old vines, a slow ripening vintage and the stark reality of granite soils. The ever-present Humbrecht honesty and richness is here but in its most subtle (and only 2 g/L residual sugar) scale. Quick notes of lime, chalk and ginger. 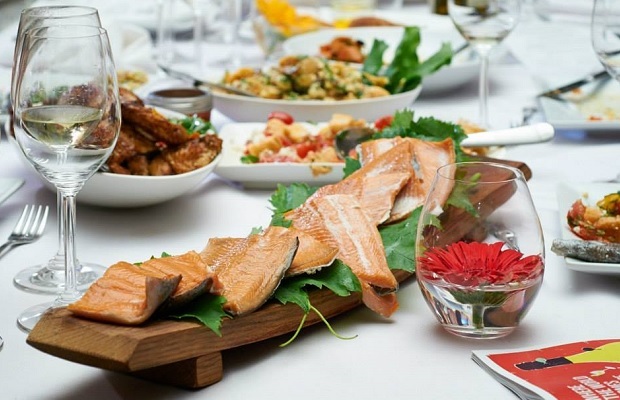 Olivier says it is made for the Brasserie or the Gastropub market. Never mind that it’s the most junior of his Rieslings. Nobility begins here with this reassuring, air-dried, easy to understand wine. Here rolls the rock of the ZH stable. From gravelly, well-drained, poor soils around the winery. The citrus factor is front, centre and in surround sound but a natural richness and sweetness brings balance. This means the wine will gracefully incline through to a dry yet fruity future. A savoury austerity will increase the ageing quotient, in addition to the omnipresent mineral flavours by way of old (47 year-old) vines that burrow deep in the gravel, providing grit and strength, especially in drought vintages. The artist formerly known as Gueberschwihr is no longer. 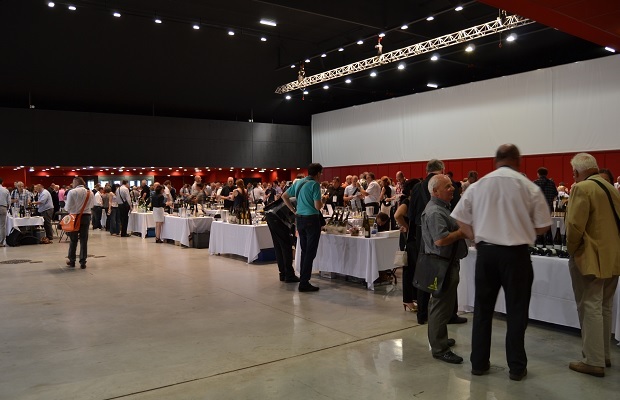 The new regulation regarding the production of village wines became effective with the 2011 harvest so, alone in its support for the quality of wine for the village, Humbrecht had no choice but a switch to the Calcaire nomenclature. From richer, cooler, alkaline soils. A touch more sugar (8 g/L) than the Turckheim counterparts, this also has higher acidity. Technically not so dry but this is the elevated, though not quite astronomical PH talking. It is dry enough to be considered Sec. Momentarily stuck in the proverbial petrol and mineral fence. The door will open shortly, to the ZH airy density and so physically speaking, this will taste drier as it ages. Even if “all this science I don’t understand,” I do know “it’s gonna be a long, long time” before the Calcaire comes down to earth and settles into its skin. Ten years to be sure. Rocket man. There is a roundness to the Brand, in beautiful calming aromatics in defiance of the hard biotite granite, black and white mica soils. The pure mineralized clay silica brings heat to the land, with a high surface exchange quotient, not so different from the Schlossberg. This is precocious and precious Grand Cru that demands the wisdom and the fortitude of old vines, of a minimum 25-30 years of age. Zind Humbrecht’s average 66! With two per cent noble rot in the mix the wine reaches for more sugar (11.5 g/L) out of its desperately low yields. There is a high mineral ripeness and a tropical tingling, in melon and clementine. The Thann is a 22-hectare, low yielding Grand Cru. The terra is volcanic and dark sedimentary soil, very steep and homogeneous. The high mineral altitude and poor attitude means the Zind Humbrecht ambition is aromatically challenging to assess, even if to taste it’s so obviously exquisite in concentrated depth. Such a rich, intense grapey nose but the flint smothers the smoky smoulder that should be present. A tight, angular and sobering expression, more isometric and idiosyncratic than anything tasted to this point. An island in the line-up. Not the most loveable Rangen, like its name, which is too old to even know its meaning. From the village of Turckheim, the vines are planted on the steepest aspect of the marl covered, oligocene limestone slope. More noble rot present here than in the Brand, resulting in, naturally higher sugar (15 g/L), richer fruit and a deeper hue. 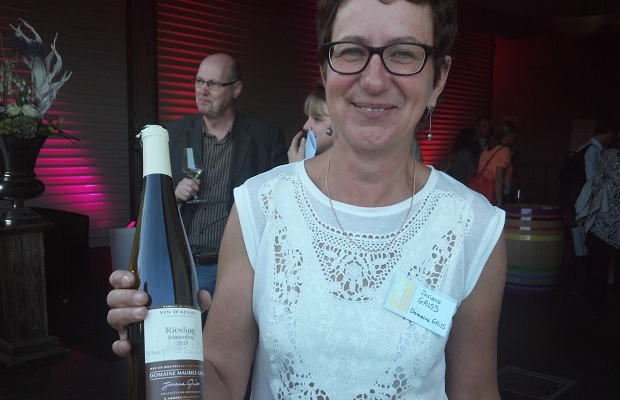 “The sweetest Riesling we’ve made in 2012,” admits Olivier. A most interesting specimen too, an upside down cake in alternating layers of apricot and crushed rocks. The flavours are high-toned, not necessarily tropical, but lush. 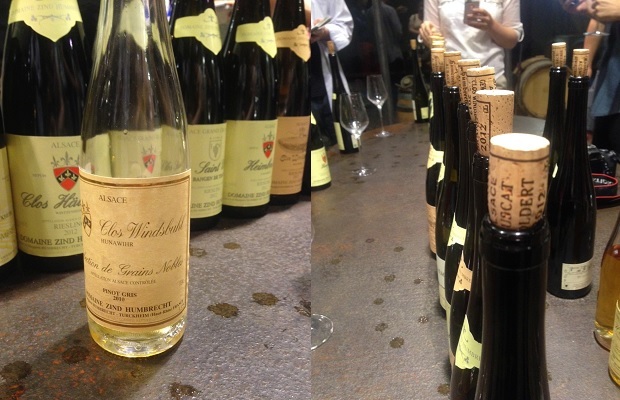 “Vintages are very important and different in Alsace,” notes Humbrecht, exemplified by this blasted 2011 in contrast to all the ’12’s at these tastings. Here the fruit leans in the most elevated petrol direction, from a warm year and an earlier harvest. A younger evolution is taking place, showing immediate and gratified balance. The terroir is cool, rocky limestone with shells, similar to Burgundy. The clos is a gently sloping, six-hectare parcel. Overall it’s anti-floral, wet chalky creamy and striped by linear acidity. Only 4.5 g/L of sugar. These last two numbers mean nothing if you don’t recognize the PH because there are different acidities in wine. Here the acidity walks the fine line, side by side with its partners. From a different era, this was fermented bone-dry, dire, with less than 1 g/L of residual sugar. A Riesling to show just how tight the Zind-Humbrecht band was back then and it is just beginning to communicate in its mid-life, mineral voice. If as a lieu-dit subject it was once “incommunicado,” with no comment to make, this has changed. The notes are layered and together, the mid-palate extraordinarily full, the length in reverberating, extended play. Here in today’s communique he’s come clean, having moved on from the strict, straits style, once spun unbending. 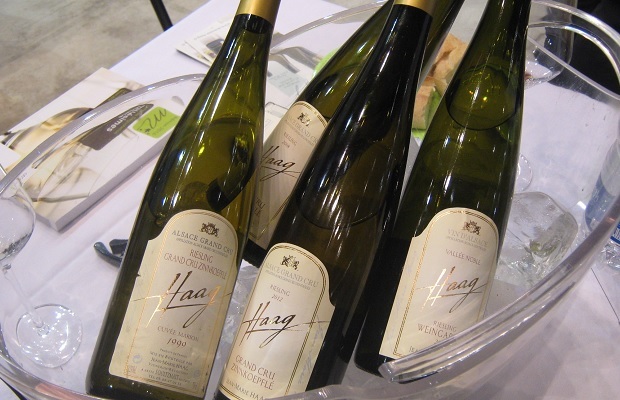 The experience of great players and exceptional monopole (Grand Cru deserving) terroir has given the ’07 Windsbuhl the foundation to realize a classic Riesling. 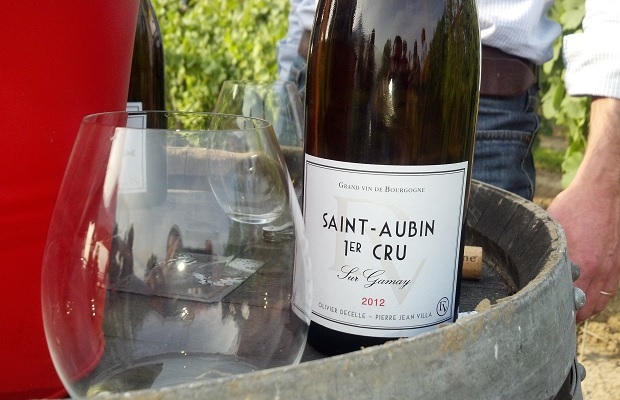 Fruit comes from the Heimbourg, providing pure limestone effect and a great nutty character. The sugar is nothing to forget about (10.6 g/L), here already commissioned and integrated. Provides support for Olivier’s declaration that “if anything should happen to a wine, it should be before you bottle it.” Much more accessible than the fastball-curveball-changeup, out of the strike zone ’11. Here it’s all down the middle, juicy, hittable fastballs. The Rotenberg’s shallow, red soils (located on top of the Hengst) bring a whole new set of parameters to Pinot Gris, in stark contrast to the Calcaire. Two bottles were poured. A two-day old sample showed settled and mellow flavours. A new bottle was crackerjack reductive, leesy and with a shocky aridity so unusual for Pinot Gris. The soils bring concentration, here magnified and compressed by the hastened moment. All the hallmarks of the Zind-Humbrecht style are there, if suppressed; tang, herbiage and a spicy spike. Very dry (4 g/L) and really invigorating white wine. The noble grape in this Muschelkalk (calcareous) vineyard comes through in high concentration, with an increase in noble rot from very low yields (12 hl/L). There was hail here in 2012, just after flowering, not a devastating storm but enough to minimize quantity. The sweetness (35 g/L) is heightened and uncompromising yet always mitigated by intense mineral activity. The richest and most unctuous wine of the morning (to this point) with direct, pure ripe tree-fruit flavours. This is a Pinot Gris that remains firm against the dangers of oxidation and it will develop smoky and toasty aromas. The structure is what I would call remarkable but not exceptional. Time will tell. Here the wait needs to be a minimum five years and then to drink well past 2025. As of the 2011 vintage, the Wintzenheim bottling became the Calcaire, for village designation (or lack thereof) reasons. 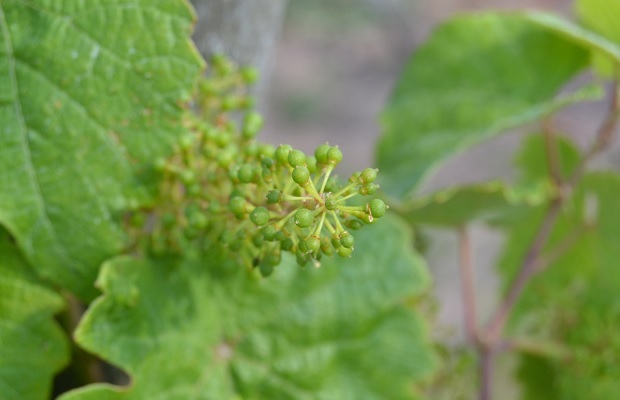 Fruit here in 2012 is mostly (not necessarily typically) from the Hengst Grand Cru vineyard. The marl and limestone leads to a very typical Alsatian and even more typical Zind-Humbrecht Gewürztraminer. Full on glycerin, creamy, perceptibly sweet and protracted wine. Even at 35 g/L it is tempered by high tannic animation, as much as in Burgundy. Skin tannins are much more interesting than those from oak because they elevate the acidity by way of contrasting balance to the sugar. This is why they succeed. From old vines of the Hengst, the yield is half of the Calcaire, the concentration raising the bar in the opposite direction. The residual number is the same but the sugars are more complex, intensely natural and variegated. The texture and flavours cover a creamier, wider spectrum and even though some typical rose petal/lychee components are noted, they remain submerged beneath the piquancy and the richness. This Hengst will gain flesh and weight as it ages, elevating the potential for late harvest sensations and alcohol. The Muschelkalk calcareous, southeast facing slopes of this Clos employ slightly cooler temperatures and the stretched elasticity of slow-ripening to bring a sense of balance and poise to Gewürztraminer. The same can’t be said for Riesling on the same site, at least not in 2012. The Windsbuhl here speaks in more sweetness and less alcohol. “If you can see the differences of terroir in Gewürz,” says Olivier, “then you won’t see it in Riesling.” Here is an example that backs up one of his most telling axioms. “It’s the phenols of the grape that make it age gracefully better.” Age it will. Drink this beginning in 2020 and through 2040. A wine not often made because of the dry climate in this Herrenweg vineyard. The gaining of full botrytis expression only happens once in every five or six years and when it does, this eager and vivid sweet wine is the result. Harvested at high ripeness and proportion (50 per cent) of noble rot, with a quick (one month) fermentation to achieve a sweet balance (vin liquoreux) not that far from some SGNs. At 102 g/L it is obviously quite sweet though once again, with acidity, PH and exceptional phenolic character it strikes a balance. I don’t normally imagine late harvest wines to speak in terms of elegance or restraint and I’m not sure those are the most apt descriptors here. Yet the Hengst is as subtle as it gets for the genre and never enters the arena of the cloyingly sweet and absurd. The residual on the 2010 Windsbuhl is remarkably high, this as a result of its long but (not compared to 2009) fermentation. From a historic vintage, with top-notch acidity (the goal was 16 g/L) and clean, precise botrytis. With the complexity and structure provisos of the Muschelkalk calcareous terroir and (43 year-old) vines, this exceptional dessert wine was given all the tools necessary for success. A parabola of a dessert wine, one sip and “we barely remember who or what came before this precious moment.” Attacks the mouth with an unparalleled sugar/acidity/tannin continuum. The flavours bring to mind quince, apricot and creamy mangosteen in out of control concentration. There is a reason sweet wines like these are so rare and receive such high praise. Exceptional fruit of uncompromising quality and a winemaker’s reverence are the reasons. Olivier Humbrecht prepared this 2010 to succeed and to live for decades. 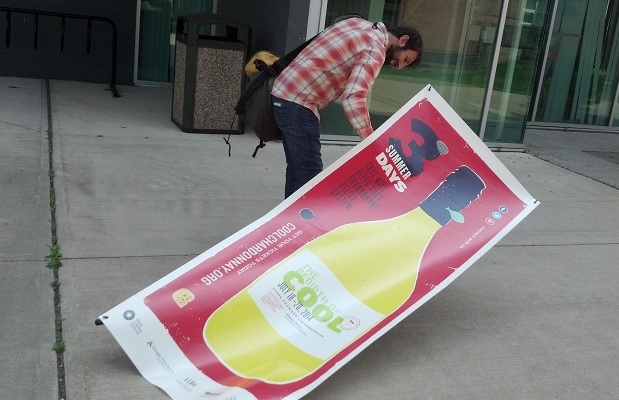 Drink from 2025 to 2055. A south-facing, very steep slope of grey marls and gypsum. A vineyard that yielded a miniscule 10 hl/H. A stratospheric residual sugar quotient (in the realm of 500 g/L) and incredulous acidity to prevent the development of the yeasts. A fermentation that finally finished in the late winter of 2012. A wine aged in demi-guid. Selection of grapes of a botrytis so pure and dry. These are the specs of a wine I may never taste again. Olivier concedes he “really tries not to obtain the highest sugar concentration possible” but this 2009 is a “monster of a wine.” It will take forever to assimilate and digest the sugar. Unctuous, lush, rich and gorgeous does not do it justice. Pure distillation of fruit and stone, accented by spice, wild herbs and flowers. Like an injection of pure, Pinot Gris adrenaline. All this from dry extract, slowly rehydrated with magic pixie dust and the wonders of the natural world. Will live for a century and then some.